No, you can't receive a translator payout to your credit card. For the time being, we only offer translator payouts via PayPal. 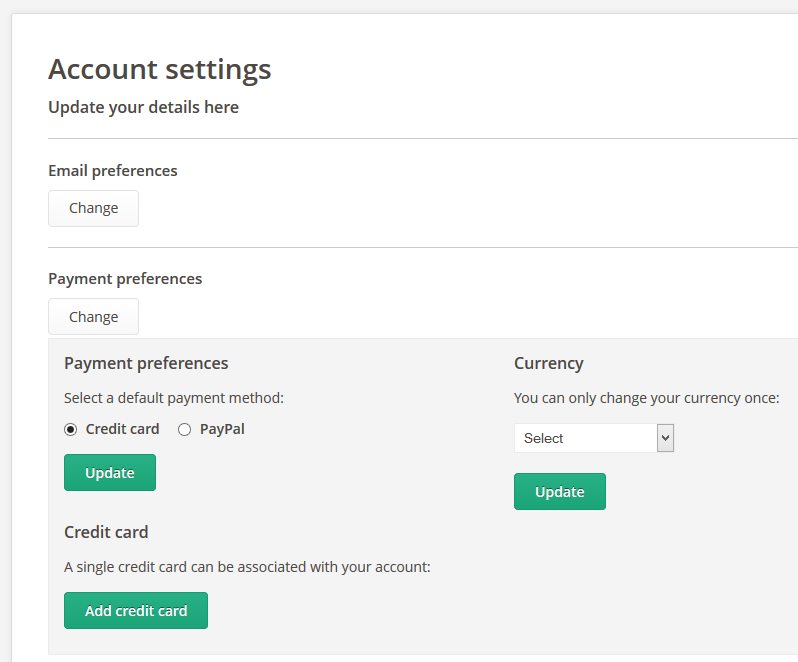 The credit card option you can find under "Payment preferences" in your Account settings page is only available to purchase credits as a customer, not to receive a payout as a translator. You can find more information on how to get paid here.